California Heights - 3572 California Ave. 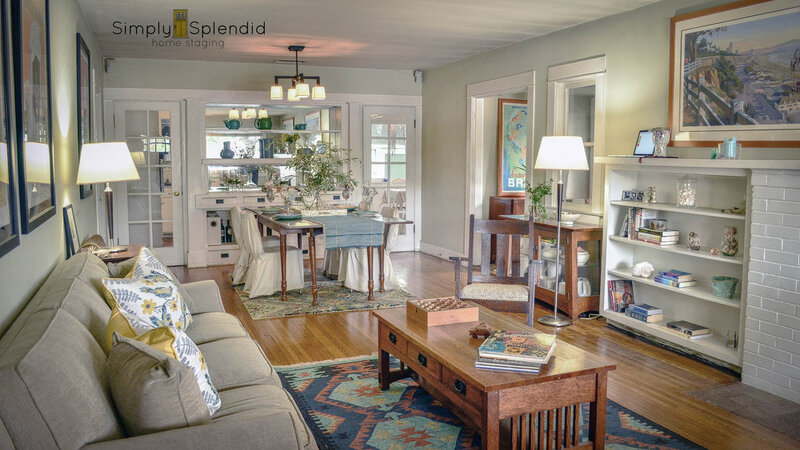 This classic Craftsman in Long Beach, Ca was "staged to live." The same family has lived in this gem for over 16 years! By "staging to live" we helped to re-imagine the way this family lives day to day. Real Estate Photography by Simply Splendid. Normal turn around for MLS formatted photos is 48 hours or sooner. Contact us for an estimate. Thank you Melinda and Hayden of Simply Splendid Home Staging! When they both procured my belongings and redistributed my furniture, it was as if I was walking into a NEW home! A much cooler, more chic home at that! Stage to Live® staging is a service geared towards homeowners who want to de-clutter and put a new sparkle in their lives. At Simply Splendid we will spruce up a house by removing the clutter and non-essentials that might weigh you down. We will either re-utilize existing furniture and accessories, or bring in new furnishings to replace the old and worn. This is geared for people who want a change in their lives. Spruce up your life and make a change!